The address fulfills rules in Article II, Section 3 of the U.S. Constitution, requiring the President to periodically "give to the Congress Information of the State of the Union, and recommend to their Consideration such measures as he shall judge necessary and expedient." During most of the country's first century, the President primarily only submitted a written report to Congress. Since 1913 the report has been given in person. With the advent of radio and television, the address is now broadcast live across the country on many networks. · House Speaker Nancy Pelosi instructed the Sergeant at Arms to cancel a walkthrough for White House officials preparing the State of the Union address. 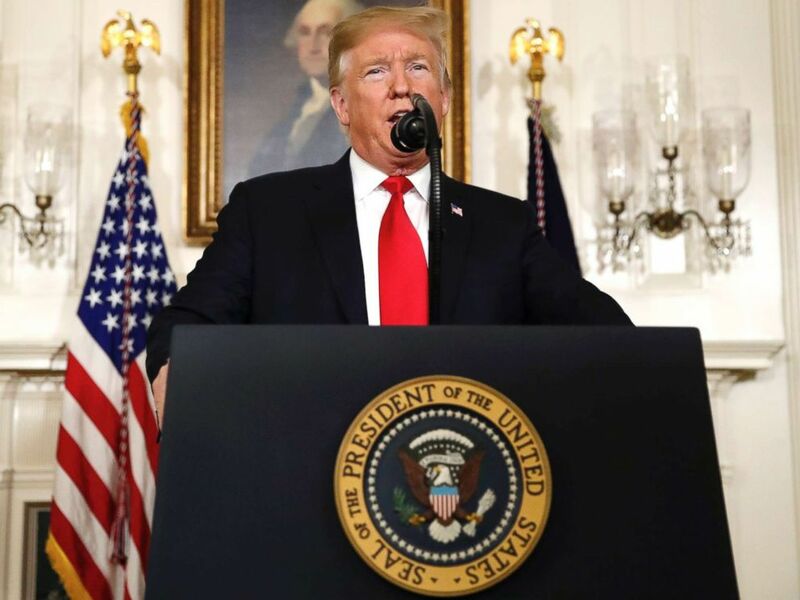 · President Trump wants to go forward with the State of the Union scheduled for January 29, but still needs Pelosi's permission to use the House chamber. · Pelosi has already called for postponing the address until the partial government shutdown is over, or having Trump instead submit it in writing. WASHINGTON — President Donald Trump is still trying to move forward with delivering his annual State of the Union address before a joint session of Congress on January 29, despite barriers put in place by House Speaker Nancy Pelosi, who now controls the House chamber. Under Pelosi's directive, a previous walkthrough for White House officials was canceled last week in preparation for the State of the Union. Fox News first reported the canceled walkthrough and the White House's written letter to the Sergeant at Arms on Tuesday requesting another chance to survey the House chamber. ABC News reported Tuesday morning the White House is planning to move ahead with an address outside of Washington, as well as another formal State of the Union at some point.